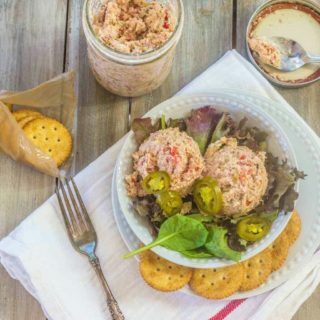 Southern cuisine has a famous first cousin. It’s called Cajun and it’s a welcomed member of the family and follows the principles of authentic Southern food: unpretentious, made from local ingredients and flavorful. The biggest difference is in the heat level. Cajuns definitely have more of an affinity for hot peppers in their everyday food. Shrimp and Crawfish Etouffee can be as spicy as you’d like. There are two sources of bona-fide Cajun inspiration that I rely on to teach me the culture and the food: Paul Prudhomme and Justin Wilson. Both are well-respected chefs and authors. Justin Wilson had a cooking show on PBS before Food Network TV was a glimmer in some producer’s eye. He was famous for the catchphrase “I gawr-on-tee” and had a particular fondness for his “sippin’ wine” that stayed within reach while he was demonstrating his cooking skills. His trademark overalls, impressive girth and pleasant disposition created an endearing image in the eyes of his many fans, myself included. He was a raconteur (storyteller) in a class all to himself. Many of his TV shows are found on YouTube. Chef Paul Prudhomme has a different personality and isn’t quite as much a character and entertainer as Justin Wilson but there’s no mistaking his authority on Cajun cuisine and cooking talents. Among his many accomplishments is the famous New Orleans restaurant K-Paul’s Louisiana Kitchen which he opened in 1979 with his late wife, K.
Both of these gentleman have my admiration for staying true to their culture and keeping it real. 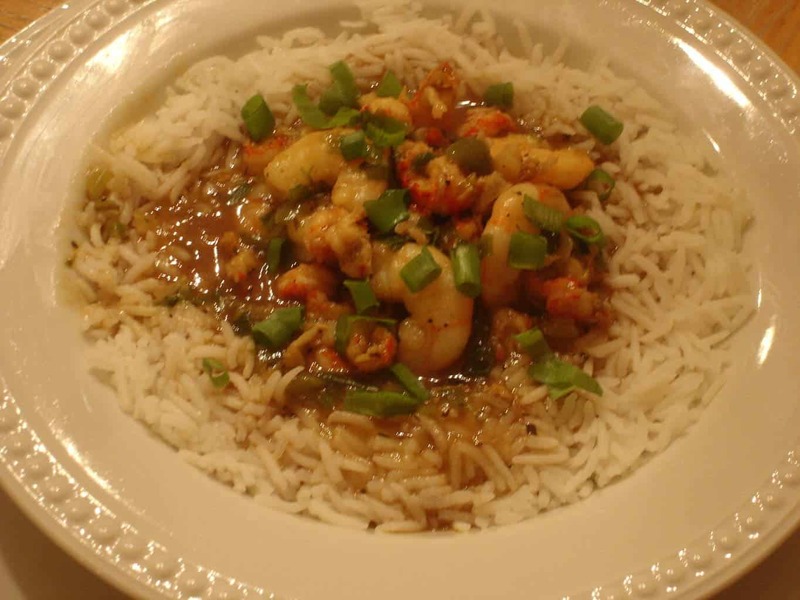 Etouffee is a classic Cajun dish that is simply shrimp or crawfish, or in my case both, stewed down in a gravy and served over rice. The romantic French name belies the rustic nature of this dish. It’s good, I gawr-on-tee it! 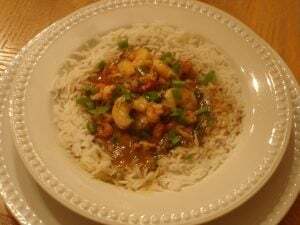 I took inspiration from Paul Prudhomme’s recipe for Shrimp Etouffee. Judging from the amount of pepper (black, white and cayenne), Chef Prudhomme must have a stronger constitution than I can ever imagine. I reduced the amount of cayenne from 2 teaspoons to 1/4 teaspoon and the amount of white pepper from 1 teaspoon to 1/2 teaspoon. While his ingredient list didn’t specify kosher salt, that’s what I used. Using my modifications, the spice blend seemed perfectly balanced. The use of table salt instead of kosher salt would have made the blend too salty. I recommend making an adjustment to the amount of salt if you prefer table salt to kosher. I substituted olive oil for some of the butter without compromising the flavor and richness of the dish. The original ingredient list called for 6 to 8 tablespoons of unsalted butter. I only used three. Additionally, I increased the amount of vegetables in the trinity (onion, green bell pepper, celery). Instead of two pounds of shrimp, I used one pound of cooked crawfish tail meat and one pound of raw shrimp. 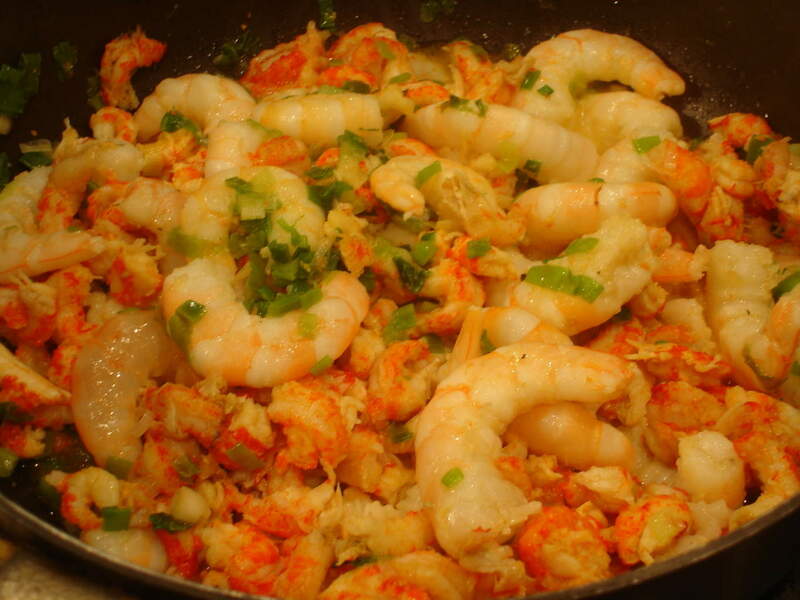 If you have an aversion to crawfish, also called mudbugs, or can’t find them, use two pounds of raw shrimp instead. Mix salt, peppers, basil and thyme together. Set aside. Heat 7 tablespoons olive oil in a heavy pot until smoking ( 3 to 4 minutes). 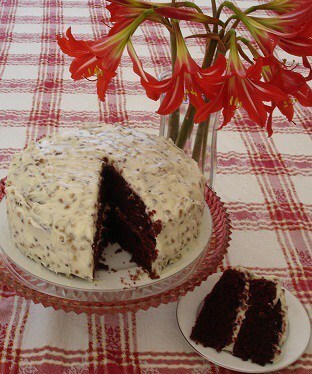 Gradually whisk in flour. Whisk until roux is about the color of peanut butter (3 to 4 minutes). You must whisk constantly and don’t take your eye off the roux even for one minute. It starts browning quickly. If you burn the roux, dump it out and start over. Remove from heat and add prepared onions, celery and bell pepper and one tablespoon of the dry seasoning mix. Keep stirring constantly until the roux has cooled, approximately 5 minutes. Bring stock to boil in a large saucepan. 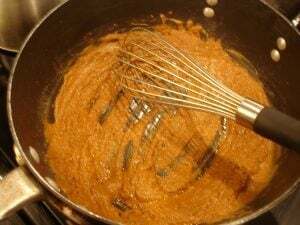 Gradually whisk in roux. After it’s well incorporated, reduce heat, continue stirring and cook for an additional two minutes. Set pot aside. Heat 3 to 4 tablespoons olive oil in a large saucepan (at least 4 quart) over medium high heat. 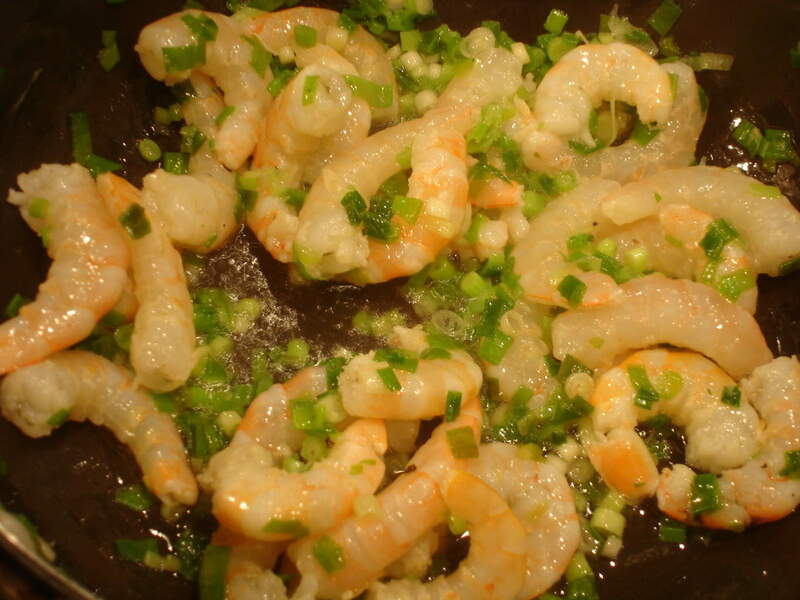 Add shrimp and green onions. Cook for 2 minutes, constantly stirring. everybody’s ready for the gravy! Add the gravy and three tablespoons of butter to the pan with the seafood and onions. Shake the pan until the butter metlts. Add remaining dry spice mixture, stir and remove from heat. For each serving, make a ring of rice in a serving bowl, add etouffee in the center. Serve immediately. I took inspiration from Paul Prudhomme's recipe for Shrimp Etouffee. Judging from the amount of pepper (black, white and cayenne), Chef Prudhomme must have a stronger constitution than I can ever imagine. 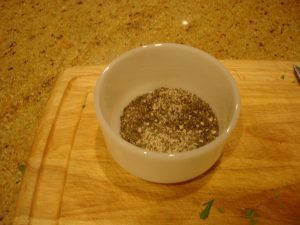 I reduced the amount of cayenne from 2 teaspoons to 1/4 teaspoon and the amount of white pepper from 1 teaspoon to 1/2 teaspoon. While his ingredient list didn't specify kosher salt, that's what I used. Using my modifications, the spice blend seemed perfectly balanced. The use of table salt instead of kosher salt would have made the blend too salty. I recommend making an adjustment to the amount of salt if you prefer table salt to kosher. Additionally, I increased the amount of vegetables in the trinity (onion, green bell pepper, celery). Instead of two pounds of shrimp, I used one pound of cooked crawfish tail meat and one pound of raw shrimp. 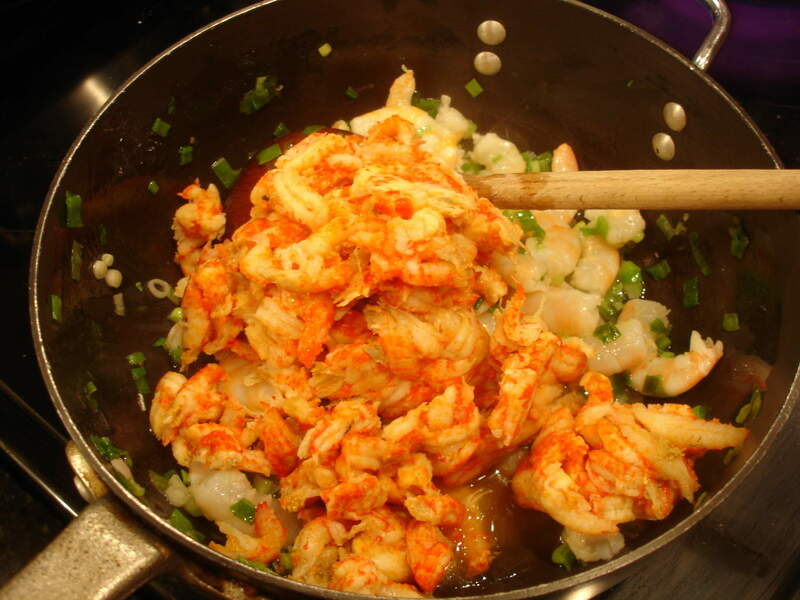 If you have an aversion to crawfish, also called mudbugs, or can't find them, use two pounds of raw shrimp instead. Heat 7 tablespoons olive oil in a heavy pot until smoking ( 3 to 4 minutes). Gradually whisk in flour. Whisk until roux is about the color of peanut butter (3 to 4 minutes). You must whisk constantly and don't take your eye off the roux even for one minute. It starts browning quickly. 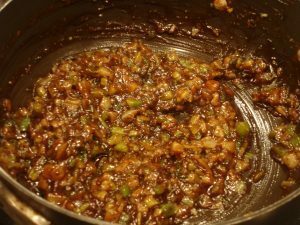 If you burn the roux, dump it out and start over. Bring stock to boil in a large saucepan. 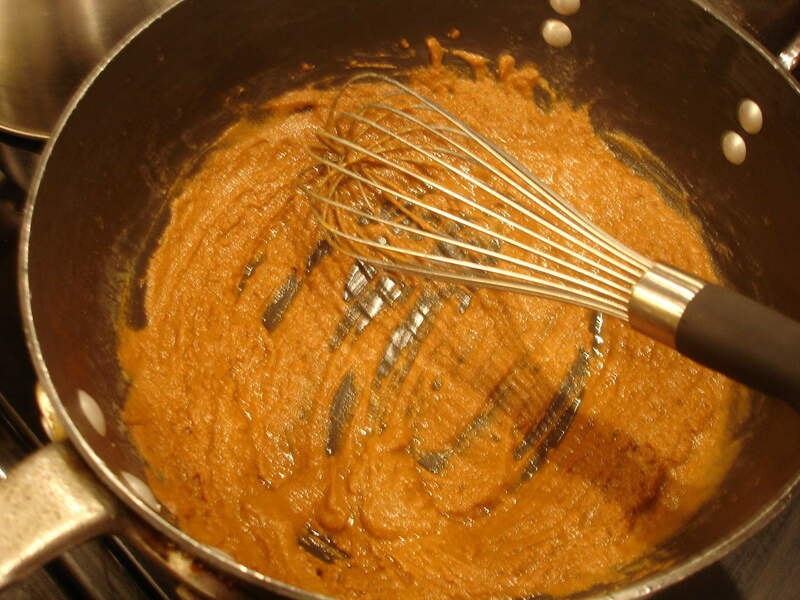 Gradually whisk in roux. After it's well incorporated, reduce heat, continue stirring and cook for an additional two minutes. Set pot aside. Jackie you are soooooo right on! How right on are you? Well, you are soooooo right on that you’re gonna have to change your name! Or at least change the spelling of you name! Ain’t nobody ever gonna get away with sayin’ Alabama folks don’t know Cajun food from Tex-Mex. No way, no how! 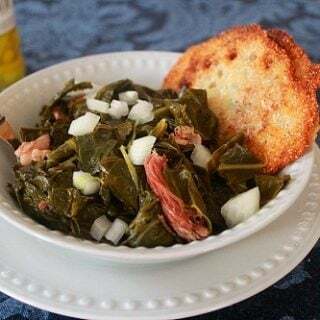 And about Chef Paul… as much as I admire and respect him, I must admit I’m very glad that you tweaked his recipe so that those of us not brought up in da bayou can enjoy it. Quite often (as recently as today, as a matter of fact) when I’m working on Prudhomme posts (straight from the cookbook) I wish I had what it takes to do precisely what you’ve done with the Etouffee. My hat is off to you, dahlin’! You make me smile all ovah mah silly self:))) Thank you! I just happen to know where to go to find authenticity. 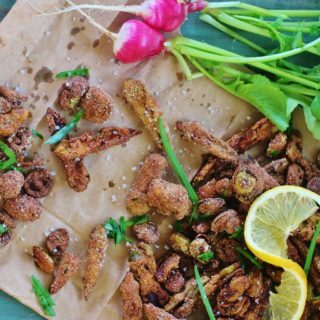 I’ve always enjoyed Cajun food but once I really started to study the roots, it amazed me how much it had in common with Southern food. Chef Paul’s taste for heat is leagues above me. I don’t know how he can have any taste buds left. Holy cow! 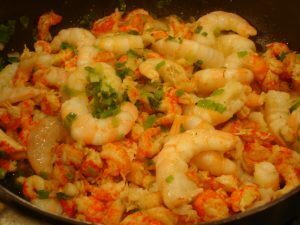 Your recipe made me crave for shrimps =)… it looks yummy and delicious! Being born and raised in Cajun country, I must tell you that the desired heat isn’t HOT for everyone. We just like to enjoy a well-seasoned meal, rather than it being bland. I truly enjoy reading your interpretations of Cajun Cuisine, and will be back for more great dishes! Thank you for sharing Jackie! Thank you for letting me know that Chef Paul’s desired heat level is over the top even for Cajuns! Lord, have mercy. Love me some good shrimp and crawfish. You know in Mobile on DIP there is a place called “Mud Bugs” and all they sell is crawfish. My son LOVES them and has a huge cooker and a specially made table for shelling and eating with a hole in the middle for the shells – oh and beer holders around the outside – they have “crawfish boils” LOL. That’s those Mobilians for you!!! This sounds really good, I saw crawfish tails yesterday at Wal Mart – will have to give it a try! Thanks for the adjustments on the seasoning – not sure even I could stand it the other way!! I saw pictures of my son and his wife at a Mardi Gras ball yesterday – wish I could go to a parade and yell “M O O P I E, moonpie moonpie come to me!! !” Take care Jackie! This is the time of the year that I miss Mobile the most. We’ve never been able to go back during Mardi Gras season since we left. My MIL still lives in the DIP area so I know exactly where Mudbugs is. Crawfish boils are fun. I sometimes put mudbugs in my Frogmore Stew if I can find any. Sounds tasty. I remember Justin Wilson. I use to watch him just to hear him talk. 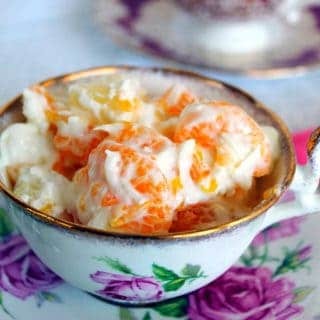 Girl – You are right on the spot with this recipe!!! 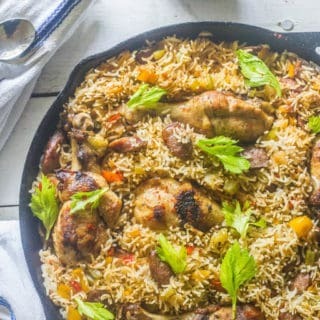 One of my hubby’s favorite dishes, and now I can make it! So glad you toned down the spices, it will make all the difference in the world. We both watched Justin & Chef Paul and enjoyed both shows! Glad to know we can get the shows on YouTube. 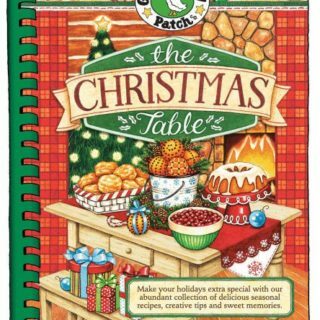 Thanks for your recipes and stories!!!!! Love your blog bunches & buches! Happy Valentine Day! Please let me know how this dish turns out. I hope it will meet both yours and your husband’s approval. I think my revision of the spices has made the spice level perfect! Just enough to accent the flavor but not so much that you breakout in a sweat and want to jump in a pool. 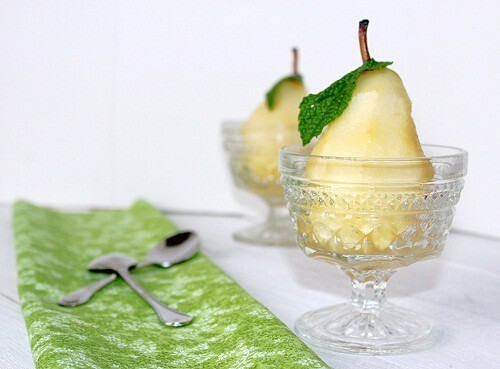 Why would you use tablespoons when it is easier to use cups? You are free to make the conversion and use your measuring implement of choice.